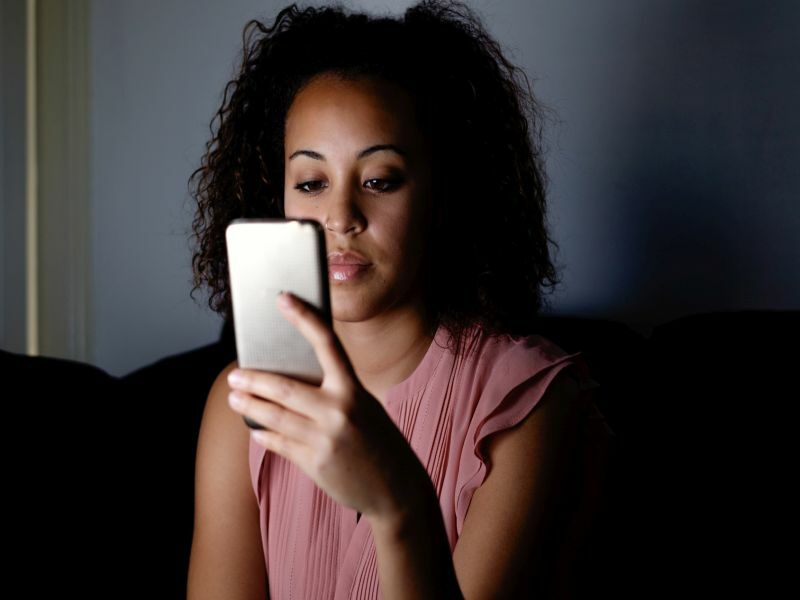 THURSDAY, Jan. 10, 2019 (HealthDay News) -- Millennials struggling with depression aren't being helped by their use of Facebook, Instagram or Snapchat, a new study reports. They're also more likely to use social media in ways that exacerbate or highlight their depression, the study said. For example, depressed young adults are more likely to compare themselves on social media to people who appear better off than them, said first author Anthony Robinson. He's a research assistant in the psychology department at Texas State University. "If people are making comparisons based on this inflated image that's being presented, it can cause feelings of inferiority," Robinson said. About 16 percent of the students met the criteria for major depressive disorder, which Robinson said was an "extremely high" proportion. "If you're spending more time on these platforms and you're being trolled or cyberbullied, it's going to have a negative effect on your psychological well-being," Robinson said. But because this was an observational study, the researchers can't say in what direction the association between depression and social media works, noted Joseph McGuire, an assistant professor of psychiatry and behavioral sciences at Johns Hopkins Children's Center in Baltimore. He was not involved with the study. "Is it that people who tend to be on social media more then start to feel depressed, or is it that the people who are more depressed are more withdrawn and this is their only social contact?" McGuire asked. "If I spend two hours a day, am I more likely to be a little bit down or depressed compared with someone who is only on 20 minutes a day? Or do I never go out because I'm depressed, but I still want that social contact, so I log on to social media?" he continued. Another new study backs up these findings. Researchers found that people are more aware of their own physical ailments if they tend to use Facebook a lot and frequently compare themselves to people apparently better off than themselves, according to findings in the January issue of the journal Heliyon. College students who are feeling depressed should assess their own social media use, and either cut back or try to change their online behaviors if they are using the technology in ways linked to depression, Robinson said. It wouldn't hurt at all if they also sought counseling, McGuire said. "There's a lot of counseling centers available at academic centers. There's that support there, and it's intended to help kids who are struggling," McGuire said. "Reaching out to a professional, even if you don't think you have a problem, then you can at least start to have that dialogue." The new study was published Jan. 9 in the Journal of Applied Biobehavioral Research.